Hire Employees that already maxed out their Retail Skills! This will only work on your active Sim when using these cheats. I wrote a little tutorial on how to hire your own created Employees to choose from. Or you can download the employees I created for you to download. You can also hire some famous celebrity’s with this trick to work at your store. Go to the gallery and place the employee(s) somewhere on an empty lot and go back to your real household. Go to your Retail Store and hire your new Perfect Employee(s)! Thanks you Elanor for finding them and thank you Rens (Simlicious.nl) for testing the download. 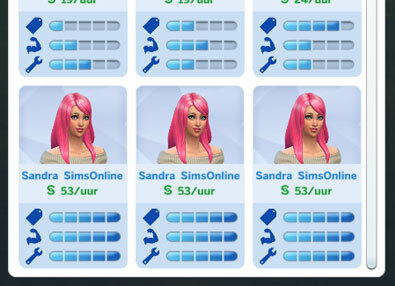 I made a household and maxed their retail skills and went back to playing my other household, when I look for employee’s the people in the maxed out household never show up. Any way of making this happen? You are meant to save them to your library, then download them to an empty house. Keep trying by clicking the register. They will show you random employees that are in the game. How often do the employee hiring options change? Can you show me the picture of the cheat steps ? What part doesn’t work? Because I just tried it and it still works for me. Did you type in testingcheats true first? It work for me thank you. But I had a lot of problems to hire them. There was just the same sims. So, I go in the ”World” and deleted the sims that it were propose. I did this and my employees stats are completely maxed and they still just stand around talking and not ringing out customers. How useless. I had my testing cheats on but I tried to enter the codes but they wont work? How do you refresh your screen/game in order to get new employees come up? 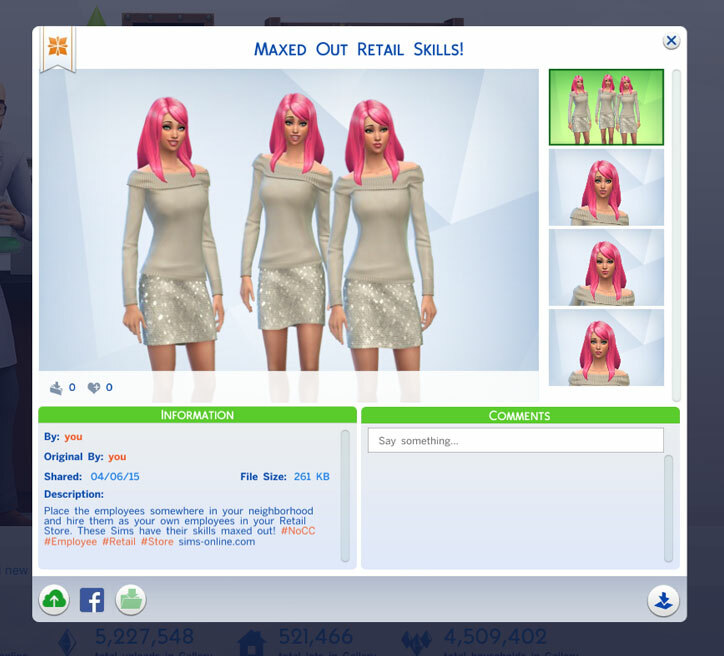 I have followed all the steps above to create fully maxed out sims, but they aren’t showing up. It’s always the same employees it and no change. I even went and friended the maxed out sims I created so when you click on hire someone you know you can choose one that way but that didn’t work either? HELP! So I found a great tutorial to show you how to get rid of the old staff and put your maxed in staff but of course now none of them have the fully maxed skills like they were meant to have and it said they had on the notification wall. Even the 3 girls I downloaded maxed out all only have 1 bar each? what is happening? 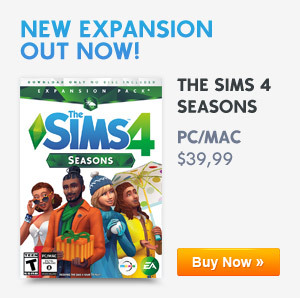 I already know this do plz don’t comment mine because I have maxed out all my sims skills and ? i got a random ghost in my house to live.? It’s been 4 years, and people still haven’t figured an easier way?